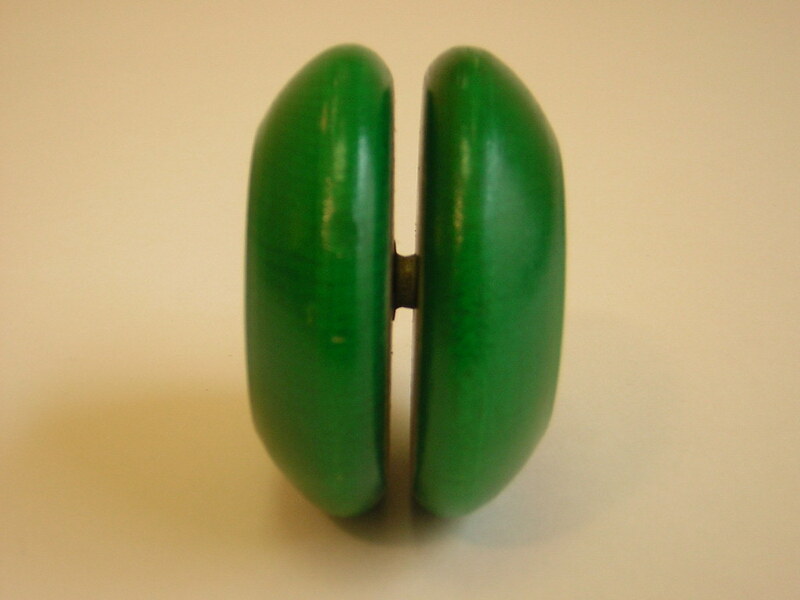 There was no yo-yo boom in my childhood. In fact it seems that yo-yoing skipped the 80’s completely. As a result I never really picked one up until I after my 21st birthday. I was still living in Tennessee at the time, but I decided to fly out to Seattle for my 21st birthday. I had made contact with some label reps at K Records and Kill Rock Stars in Olympia, WA, so I booked a two week flight and headed out west. As a long time fan of World’s Fair expo sites, my first stop in Seattle was of course the Space Needle. 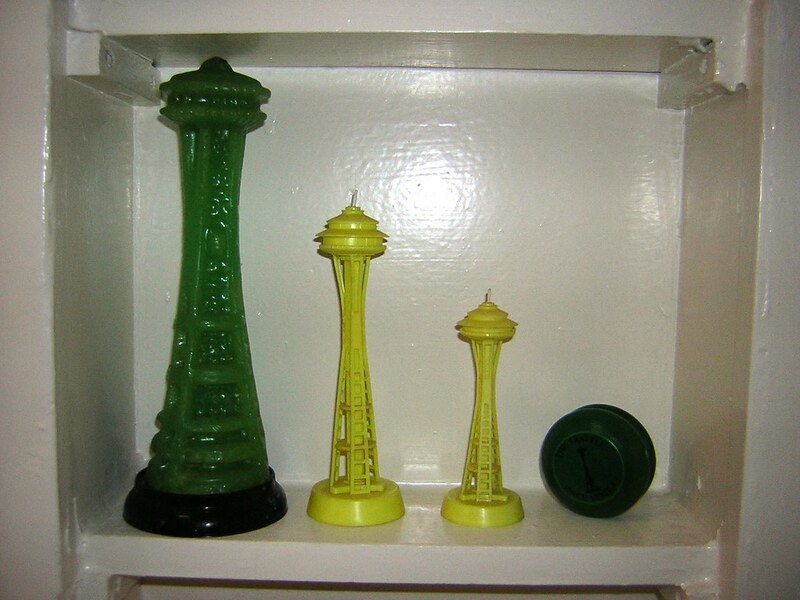 The Space Needle was built for the 1962 Worlds Fair. 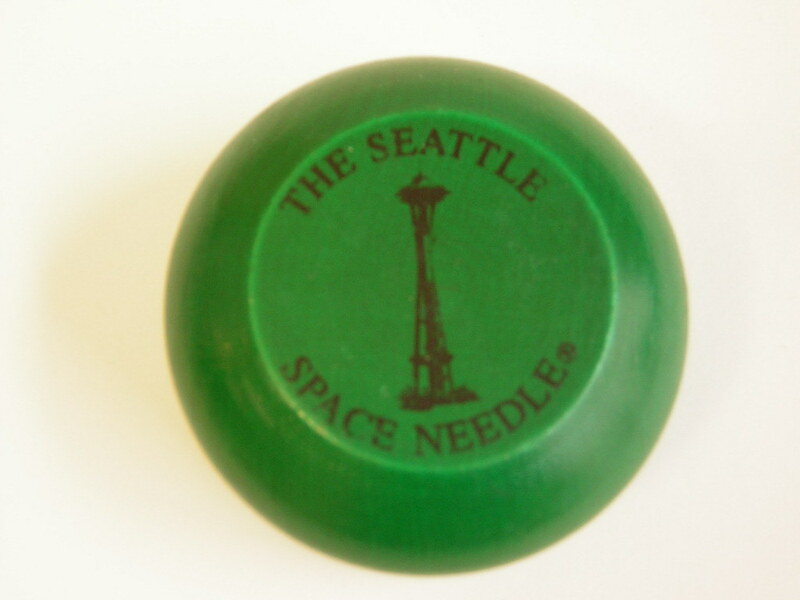 This was my first trip to the Space Needle and I needed a trinket for my World’s Fair collection. I had narrowed down the choices to either getting a Snow Dome or a yo-yo. I decided on the yo-yo because it was $.50 cheaper… I often wonder about how different my life would have been had sprung for the snow dome instead. Throughout the next few weeks I played with my new yo-yo while walking around Seattle and Olympia. I wouldn’t say that I had gotten good with it by the time I returned to Tennessee, but I had two weeks more practice than most of my friends. After arriving back in Nashville I stopped by a local mall to get a bite from the food court. It was early in the morning and most of the shops were just opening. On my way to get a taco I saw a guy opening up a new kiosk called Yo Momma’s. His store was full of yo-yos, so I pulled out my green wooden souvenir and show him some of the tricks I was working on during my excursion to the Northwest. He hired me on the spot and I started working the very next day. A month later I became manager of that kiosk and we opened 3 more in the city. Pretty soon we had opened 8 locations and I was a regional manager. Of course the whole time I was training employees and watching the stores, I got to play a whole bunch. 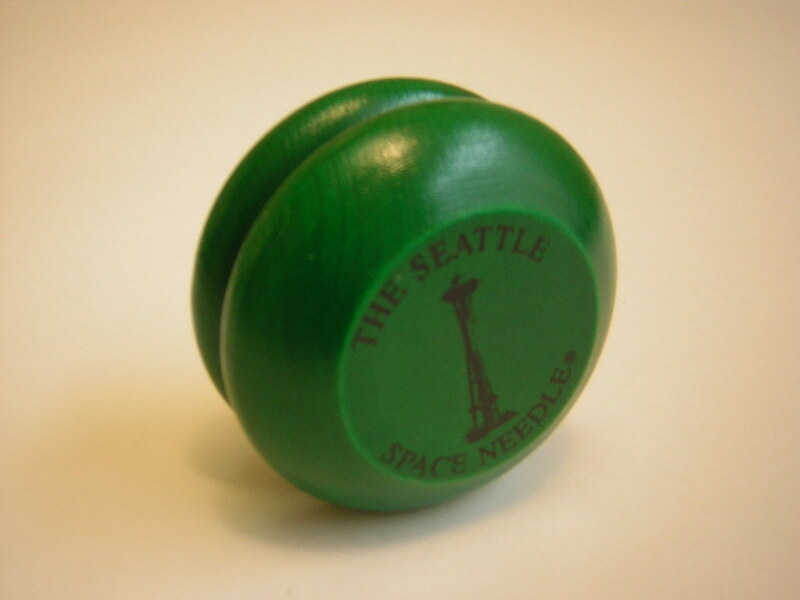 So, for the first weeks of my yo-yoing life, this souvenir from Seattle was the only piece in my collection. Then I moved up to Bumblebees and Vipers and Bumblebee GTs and Renegades and Hitmen etc….